One of the most important things when people go into business for themselves, either as an entrepreneur or freelancer, is to take care of their finances. This can be an overwhelming process for most, and rightly so. Generally, small business owners tend to do a lot of their business tasks all by themselves. While this allows them to better control their business, it also means there’s a lot of information out there that they’ll need to catch up on. This includes working on the most important document for increasing cash flow—invoices. In order to help alleviate that, we’ll look today at some of the most important things you need to know about an invoice. The most important thing to know about invoices it to actually be clear of what an invoice is. Invoices are documents sent by a seller to the buyer after the goods or services have been delivered. It identifies the seller, buyer, and the products or services sold, including their quantities and prices. It is legally-binding after both sides have agreed to the conditions and is also non-negotiable. Any changes that are requested by the buyer should be already prepared for (in your terms and conditions), or added on for an extra price. However, buyers should not negotiate for lower prices or more goods for the same price when the products or services have already been delivered. One invoice has two different terms depending on whether you are the seller or buyer. To the seller it’s a sales invoice, while the buyer calls it a purchase invoice. Both invoices are the same document, however, and the difference is in filing purposes only. A sales invoice goes to account payable, whereas a purchase invoices goes to account receivable. There are two important things that an invoice is not. Primarily, it is not a receipt. A receipt is a record of what has already been paid, whereas an invoice is a record of what still needs to be paid. Even more, invoices are much more detailed than receipts (where some receipts may have only the total paid, the date, and the store details). It is important, when a supplier requests an invoice, not to present him a receipt, or vice versa. Secondly, an invoice is also not a purchase order. In fact, you can look at them as opposites. Where an invoice is sent by the seller to the buyer for outstanding payment after goods have been delivered, a purchase order is sent by the buyer to the seller before anything has been purchased. The purchase order includes the conditions of the agreement, including the products/services, quantity, and the agreed-upon price. This is an important document to help protect against surprises in changes to the relationship. For example, if the seller changes his prices, the buyer may be surprised when he receives the invoice. The purchase order helps avoid that. 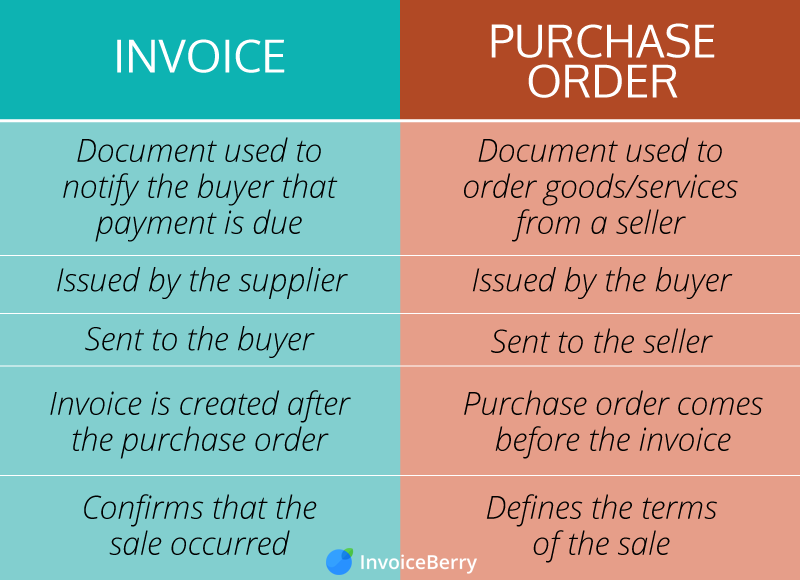 You can look at the summary below to be clear of the differences between purchase orders and invoices. One of the most important things to have as an entrepreneur, small business owner or freelancer is a clear general policy in place. These terms and conditions will act as a way to clarify expectations and the rules of doing business with you. They are similar to the purchase order described above, except that they are not only applicable to one situation. They are also more general and apply to all aspects of your invoicing. When you create these terms, you’ll be able to avoid a lot of confusion and delays in your invoices. Invoicing can be quite straightforward in your own country. However, when you start selling goods to people across the world, it can be a bit more complex. Different regions in the world have different invoicing requirements. In the US, for example, you may or may not need to send an invoice to your clients. There will also be different types of sales tax that goes with your invoices, and it’s always best to talk with a knowledgeable accountant to make sure you are complying. In Canada and Australia, for example, you will need to apply GST (goods and services tax) depending on the amount of the invoice. Australia has a similar requirement for GST, especially for international businesses selling to residents of Australia. The UK requires businesses to use a VAT invoice for those businesses that have more than £83,000 in any 12-month period. The EU also requires VAT, but its invoicing process is much more complicated, seeing as you’ll need to check with the customer in the specific EU member state and determine how much VAT needs to be charged. Whenever you are selling goods or services to customers internationally, it is best to contact the appropriate government bodies or work with an accountant or tax lawyer specializing in internationalbusiness. Although invoices are generally different in different locations around the world, they have some necessary parts. The date that payment is due which should optimally be set at 14 days, rather than 30 days to increase payment speed. Your invoice doesn’t have to be a static document that merely lists the goods that have been delivered and the price. You can also use it as a marketing tool. One of the most difficult parts for marketers when they are sending out emails to their subscribers is to get adequate opening rates. The relationship is simple: the more people reading your emails or marketing materials, the more customers you’ll have. One of the difficulties of finance documents in general, not speaking about invoices, is that they can be quite time-consuming to put together. For example, if you make your invoices from scratch or download one of many invoicing templates online, you still need to enter the information manually. This usually means going through your records or, more realistically, emails to find your customer’s details. It also means that you have to have a good system of recording invoices so that you can remember what unique invoice number should go on the next document. Of course, in this modern world, that doesn’t have to be the case. You can actually save yourself a lot of time and energy by automating the whole process with online invoicing software. The online part here is important for a very good reason—because everything is stored on the cloud, that means you can be anywhere and still do your invoices. This cloud-based invoicing software is a great tool for many small business owners and freelancers, who can often send off an invoice in a few minutes rather than half an hour per document. This information about invoicing can allow you to have one thing that business people need: more time. More energy. More freedom to focus on your main business and increase your revenue, rather than stressing out and spending a lot of time on more financial documents. With proper invoicing systems and knowledge in place, you’ll see just how easy and profitable it can be. 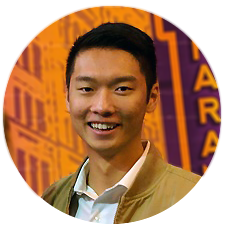 Author bio: Bernard Meyer is Head of Marketing at InvoiceBerry, the online invoicing software dedicated to helping small business owners and freelancers create professional-looking, easy invoices quickly and efficiently.